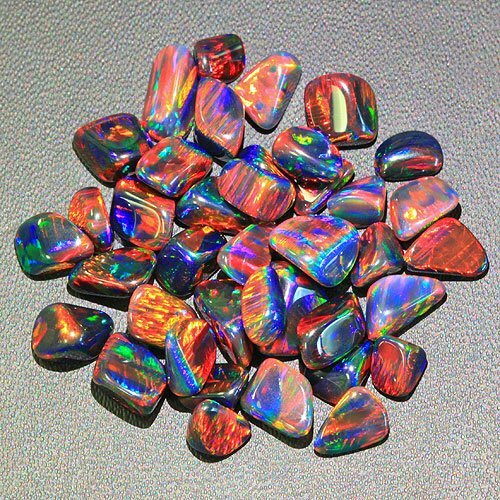 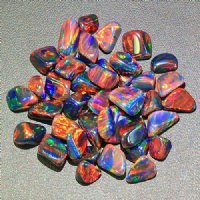 Each piece of our black XL tumbled opal is between 8mm and 10mm and is perfect for making a big, bold centerpiece. 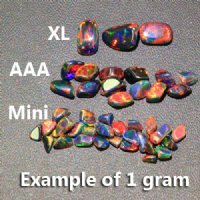 There is, on average, about 3 pieces per gram making it a very affordable way to add a big chunk of opal to your work when compared to coins or spheres. 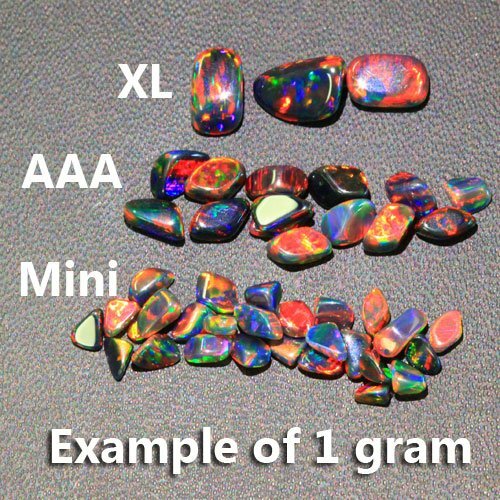 If you have specific requirements (like you want the largest we have) please let us know.